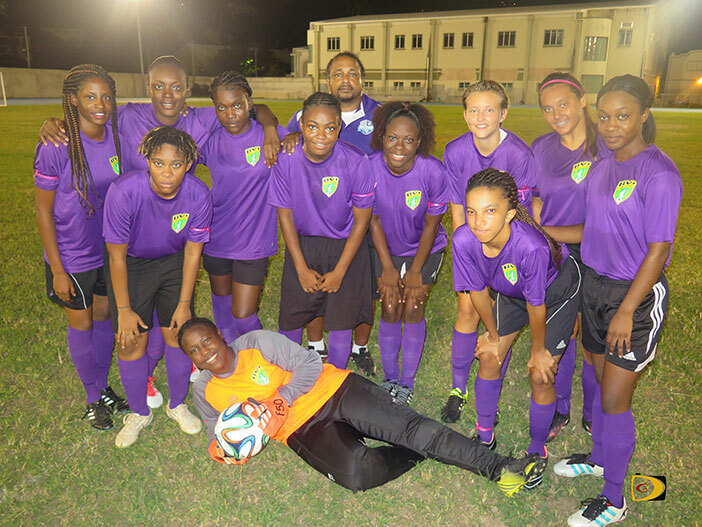 Led by MVP Philia James, Ball Starz used a 6-2 victory over Virgin Gorda United on Saturday, to successfully defend their BVI Football Association Women’s League title. It was their third title in four years. James got Ball Starz rolling with two early first half goals before Morgan Creque added another as they carried a 3-0 lead into halftime. Virgin Gorda helped padded Ball Starz’s lead with an own goal, before Kezia Gumbs got them on the board with successive goals. Murcella Gordon scored from a free kick and Lillie Pierce completed the 6-2 scoring to close out the match, for Ball Starz. Mark said since he knows all the players on the opposing team and their strengths and weaknesses, he formulated his game plan based on their strengths and counteract it with a plan that would prevent them from utilizing their strengths, for them to be able to win the game. Virgin Gorda United coach Chris Frederick said Ball Starz had too much experience for his young team. Mark said Ball Starz won the league in 2013, lost in 2014 and has won the crown the last two years and every knockout tournament in between. “We have been the dominant team in the league,” he said.